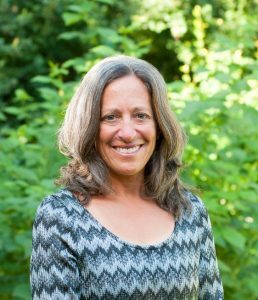 I am a health coach, cancer exercise trainer, and registered nurse certified in oncology, with a background in health, recreation, and education. I also hold certifications in health coaching (ACE) and cancer exercise training (ACSM). After working in critical care and oncology infusion in the hospital setting, and seeing how many gaps existed in care for the patient after treatment, I decided to start a community-based service to provide support, education, and skill-building in self-care and self-advocacy in the healthcare system’s approach to follow-up care, often called survivorship. 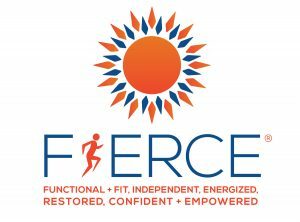 I developed a program called Cancer Harbors to complement the medically-focused survivorship care plan, and I teach FIERCE, a class for cancer survivors that emphasizes function and enjoyment of movement and activity in a socially supportive setting, with a focus on the therapeutic and restorative resources available in the community. I have written a book about these programs and solutions to our healthcare system’s shortcomings in cancer care, Navigating the C: A Nurse Charts the Course for Cancer Survivorship Care, Blue Bayou Press, 2017. I live in Fort Collins, Colorado, and I enjoy ultradistance running, painting in pastel, and Australian Shepherds. I offer individual coaching for people with all stages and types of cancer, as well as their caregivers, using my program, Cancer Harbors, which is a comprehensive approach to building skills after cancer treatment, or during ongoing treatment for advanced cancer, around self-care and self-advocacy. I also offer individual consulting or coaching sessions via videoconferencing anywhere in the world, for patients, caregivers, and healthcare professionals, to improve the quality of care they provide to patients. Cancer Harbors is a six-month program that uses a combination of online materials and face-to-face (via online videoconferencing) to support an individual’s needs for restoring health and well-being in the first few years after cancer treatment is completed, or for those who are in long-term treatment for metastatic cancer. The program contains a variety of skill-building activities to choose from, depending on the individual’s needs. The program focuses on restoring energy and managing fatigue after treatment, increasing physical activity, weight control and recurrence risk-reducing strategies, finding emotional, mental, and social support, self-care in home, work, and play environments, self-advocacy and health literacy for follow-up healthcare needs, and personal growth, goal-setting, and prioritization for moving forward after cancer treatment. Managing fatigue, anxiety, role and relationship changes, finding positive social support, and setting realistic expectations of oneself during the treatment recovery period are important needs often not addressed in the doctor’s office or with survivorship care plans. Cancer Harbors allows for a smoother transition at this time. Cancer Harbors is designed to be used with individual coaching that guides the user to the activities most appropriate for their needs, to make it personalized and time-efficient, as well as providing support to get the most out of the service. Having the individual support allows the user to ask questions and obtain guidance in finding restorative resources in their own communities. 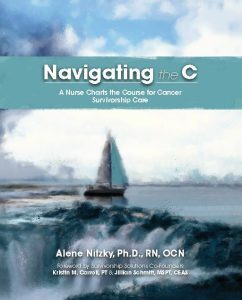 My book is Navigating the C: A Nurse Charts the Course for Cancer Survivorship Care, Blue Bayou Press. It is recommended for anyone with interest in cancer care, survivorship, prevention, support, and recovery.